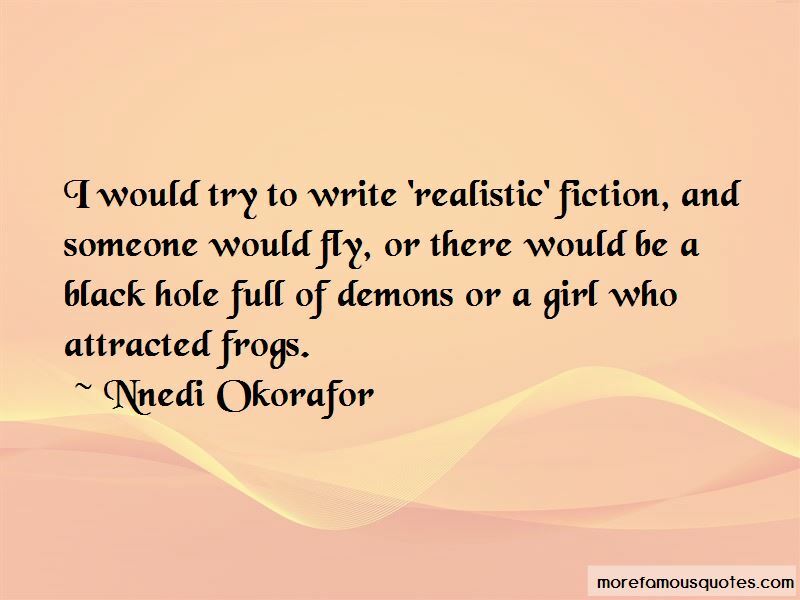 Enjoy the top 48 famous quotes, sayings and quotations by Nnedi Okorafor. Some of our old ways are better forgotten, but not all of them. He wished he were at his home in Abuja with a glass of cool Guinness, watching Star Wars on his high-definition widescreen television. He loved Star Wars, especially the more recent instalments. There was such honour in Star Wars. In another life, he'd have made a great Jedi knight. Being a vigilante loyal only to justice was always better than being any kind of head of state. “When are aliens ever not evil?" I am the unseen. For centuries I have been here, beneath this great city, this metropolis. I know your language. I know all languages ... My cave is broad and cool. The sun cannot send its heat down here. The damp soil is rich and fragrant. I turn softly on my back and place my eight legs to the cave ceiling. Then, I listen. I am the spider. I see sound. I feel taste. I hear touch. I spin this story. 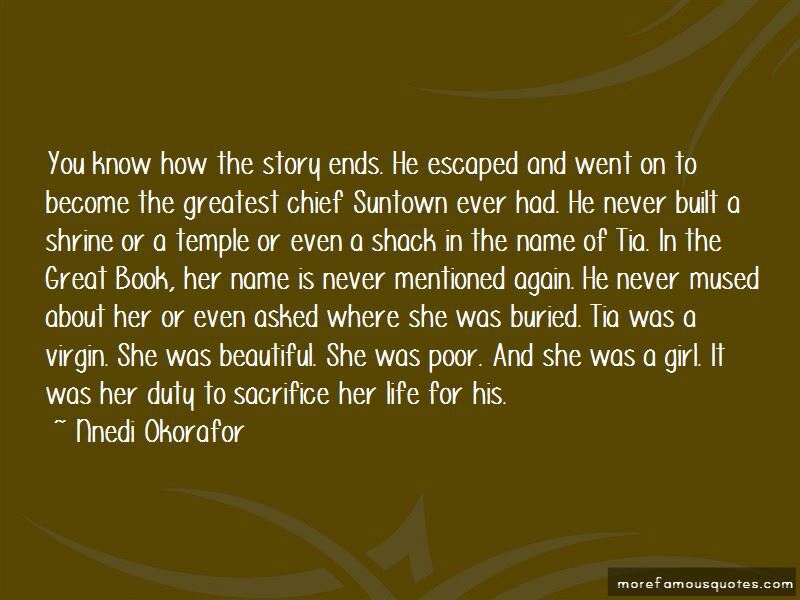 This is the story I've spun. I slammed the door in the child's face, a horrific scream trapped in my throat. 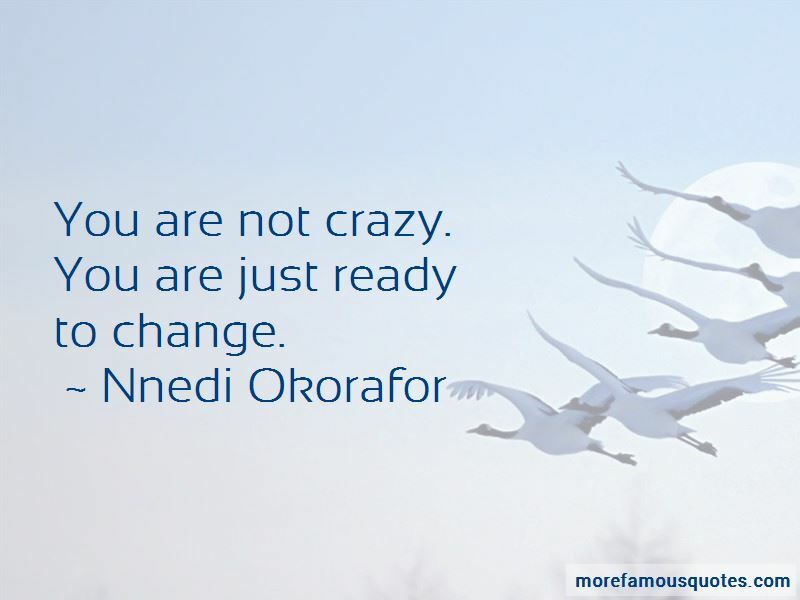 Want to see more pictures of Nnedi Okorafor quotes? 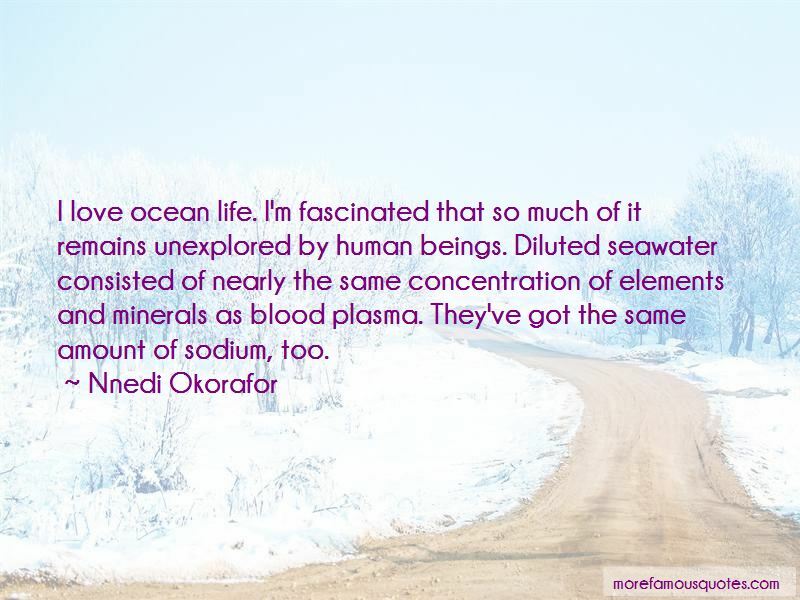 Click on image of Nnedi Okorafor quotes to view full size.